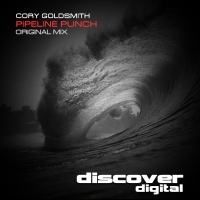 Cory Goldsmith debuts on the label with a peach of a tune in Pipeline Punch. A cool, dark and deep intro grabs you from the start, with penetrating stabs and a pulsating bass that guide you to the breakdown together with subtle hints of melody. The breakdown opens into the melody which lifts whilst still retaining menacing undertones until it kicks back in with full intent. The melodies are strong yet beautifully understated throughout creating lush melodic trance that sits perfectly against the stark musical background. A brilliant label debut from Cory. 'Pipeline Punch' is available now from Beatport and iTunes.